Get ready to draw and paint scenic views of Rainbow Falls in Great Falls! Supplies are not provided to attendees, sorry. 1) From River Drive North turn North onto Giant Springs Road. 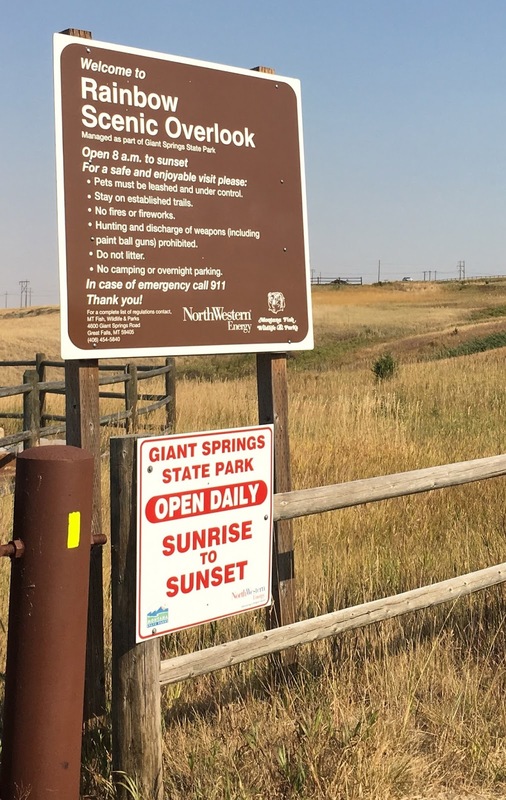 2) Follow Giant Springs Road. 3) Pass the Lewis and Clark Interpretive Center. 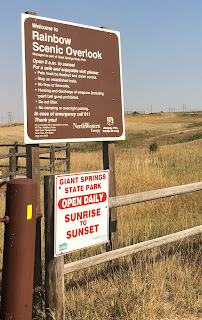 4) Pass Giant Springs State Park. Pass Rainbow Bridge. 5) Then turn left into “Rainbow Scenic Overlook”. Sunday Painter will meet at the "Rainbow Scenic Overlook" on Sept. 17, 2017 from 1pm - 4pm. There is a second overlook, just past Rainbow Scenic Overlook called “Lewis & Clark Scenic Overlook." At this overlook, there is additional parking, restrooms and covered picnic table seating. 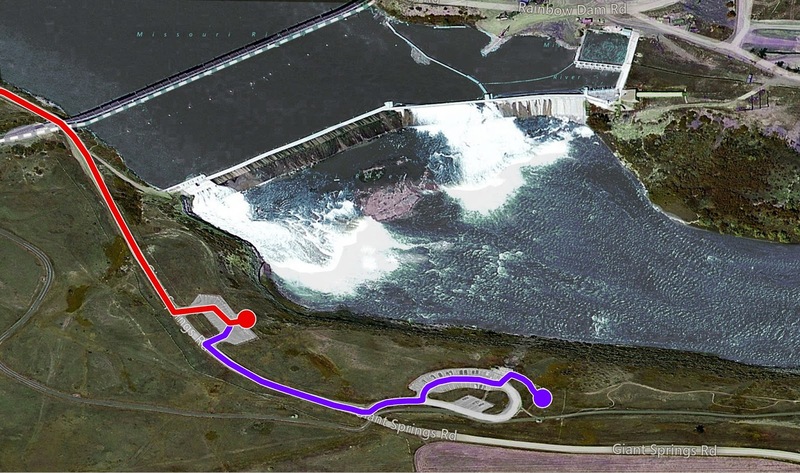 DETAIL MAP TO RAINBOW FALLS PAINT-OUT LOCATION ON SEPT 17. Sunday Painter is meeting at the red circle (left) at Rainbow Scenic Overlook. The purple circle is shown to illustrate proximity to nearest restrooms and picnic tables at Lewis & Clark Scenic Overlook. Hunting and discharge of weapons (including paint ball guns)prohibited.